In addition to our Guest of Honor, Patrice Louinet, Howard Days is always attended by a number of personalities from the world of REH scholarship, publishing, and fandom. Over the next few weeks will be announcing some of these featured attendees who will be on hand to participate in panels, sign books, and swap lies about our favorite author. We are very pleased to announce that our first featured attendee is RUSTY BURKE. For many years Rusty Burke has been considered the leading figure in Howard scholarship. A champion for Howard purists, Rusty successfully led the battle to publish the authoritative texts and served as the series editor for the Wandering Star/Del Rey editions of Howard's works. 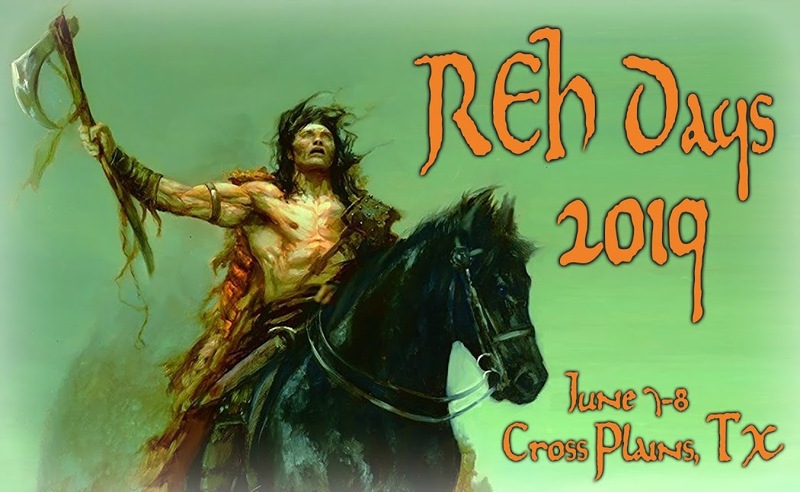 In 1986, Rusty was one of the attendees of the first Robert E. Howard Days, helping to found this great tradition. In 1991 he established the The Dark Man: The Journal of Robert E. Studies, which remains today the leading academic journal in the field. He has authored numerous articles, essays, and book introductions for many publications and periodicals. He has been honored with several Cimmerian awards and REH Foundation awards and in 2006 he was inducted into the Black Circle, the highest honor in Howard fandom, given for lifetime achievement. He is now editing a collection of Howard’s Celtic stories and continuing to work on his biography of Howard, which when complete will undoubtedly become the authoritative reference on Howard’s life. At Howard Days he will appear on a panel and will be leading a tour of Cross Plains and will be sharing his knowledge and expertise with fans.